PIN IT!Everyone loves to be pampered when it comes to a massage. Laying there naked on a table getting rubbed down for an hour without a care in the world. Elements Massage has opened a new location at Mesa Gateway and I was invited to go check it out. As I walked into this location I was greeted immediately by one of the owners. She was so kind and personable and gave me a tour of the place. I was super surprised to discover everything they offered. It was way more than the normal place I have been to previously. Elements Massage at Mesa Gateway offers massage sessions from 1 hour up to 2 hours with many add ons. You can upgrade with aromatherapy, hot stones, Himalayan salt stones, and more. I opted for an aromatherapy upgrade and couldn’t have been more relaxed. Elements Massage offers a variety of essential oil blends including lavender, eucalyptus, radiance, and vitality. In addition to their add ons, Elements Massage offers something I haven’t seen locally, prenatal massages! For those of you who don’t know, massage therapists must receive specific training and special certifications to perform these. Their prenatal table has a cutout for your growing belly and a place for your breasts. I will definitely be scheduling those when the time comes. After signing my waiver and choosing the Radiance essential oil upgrade I was shown to my room. I met with my therapist, Christy and we got started. Though I like massages, I am tender skinned, if that’s a word, so I flinch easily when it gets too rough. Christy did an awesome job and making sure the pressure level was good. An hour later and after I almost fell asleep, my session was over. I walked back to the front so relaxed and scheduled an appointment for a follow up to hit some of my hot spots again. While checking out, I was shown all of their monthly programs. They offer discounted monthly plans for you to come once a month and if you add someone to your account, they can come in and use your appointment if you can’t make it. This is perfect to split between two people! 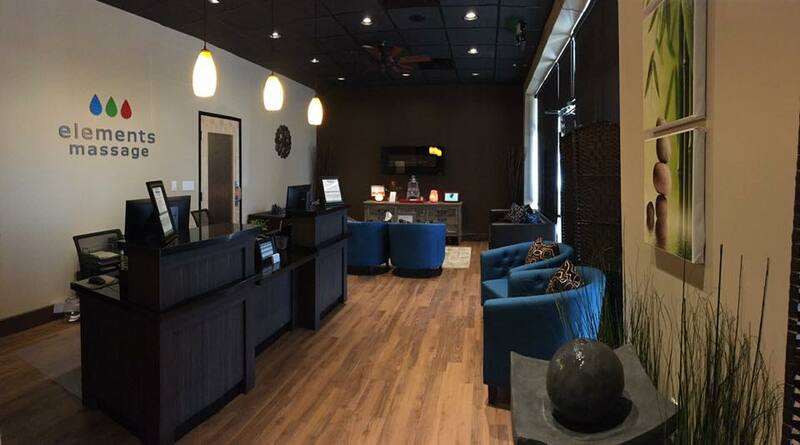 Elements Massage at Mesa Gateway was comfortable, had great ambiance, and knowledgeable staff. I was very impressed with their amenities and can’t wait to visit more often. If you’re interested in checking them out, make sure you mention that I sent you their way!